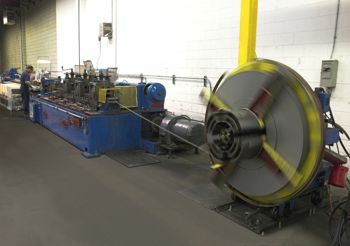 From Full Round Edging (to make the edge safe for exposed applications) to Deburring and Decambering, our metal processing services provide quality bar or coil finishes to meet the most exacting manufacturing standards. We will fix your edging problems decambering your materials to bring them back to useful production. Our attention to detail ensures that your product meets our quality standards as well as yours. Thickness Range: .050" - .250"
Width Range: .375: - 10"
Length Range: .750" - 240"